The decision whether a film (especially if it's a comedy) should start theatrically with a PG-13 or R rating is always influenced by financial and artistic considerations. The first aspect wins most of the time, though, and the home video releases have to help out with the unrated version later on. Oftentimes, it reverses the forced downplaying for the mass audiences but we also know numerous cases in which the unrated counterpart doesn't deliver what it promises. 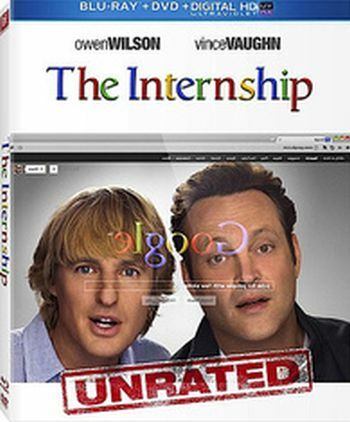 With The Internship, things could turn out different. During production, basically two versions were filmed that would meat either PG-13 or R criteria. In the end, the decision was made to release the PG-13 version in cinemas and that leads to the exspectable consequence that the Blu-ray will have the raunchier cut on board. To make things more catchy, it will be marketed as unrated. It will be released in the US on October 22nd, 2013. The UK follows on November 11th, 2013. You can order it at Amazon.com or Amazon.co.uk.